I took this shot on the way out of a doctor's appointment. A small breeze was blowing and caught the curtain. 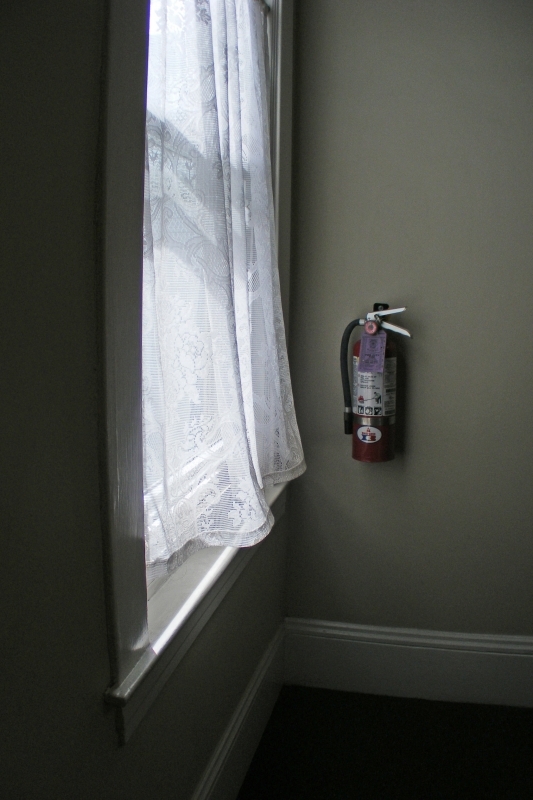 I liked the way the fire extinguisher was mimicking the shape of the curtain. FujiFilm FinePix S5700 S700, f/3.5 1/100 sec.